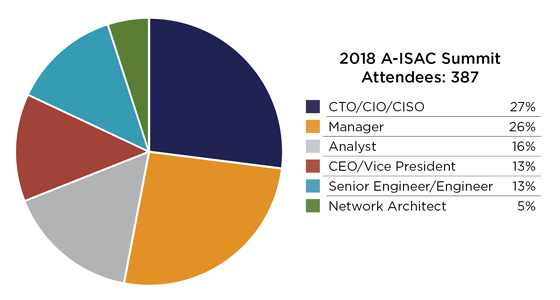 The AVIATION ISAC is a unique focal point for security information sharing across the aviation sector. We enhance the ability of our sector to prepare for threats, vulnerabilities, and incidents so that businesses operating in the aviation industry can best manage their risks. We facilitate the sharing of timely and actionable information related to threats, vulnerabilities, incidents, potential protective measures, and best practices. We foster cooperation and communication among members using a secure trusted network. We research and analyze information to validate accuracy and severity and recommend mitigation strategies. We enable the development of professional and trusted relationships across the public and private sector.